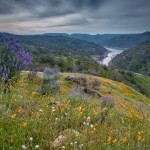 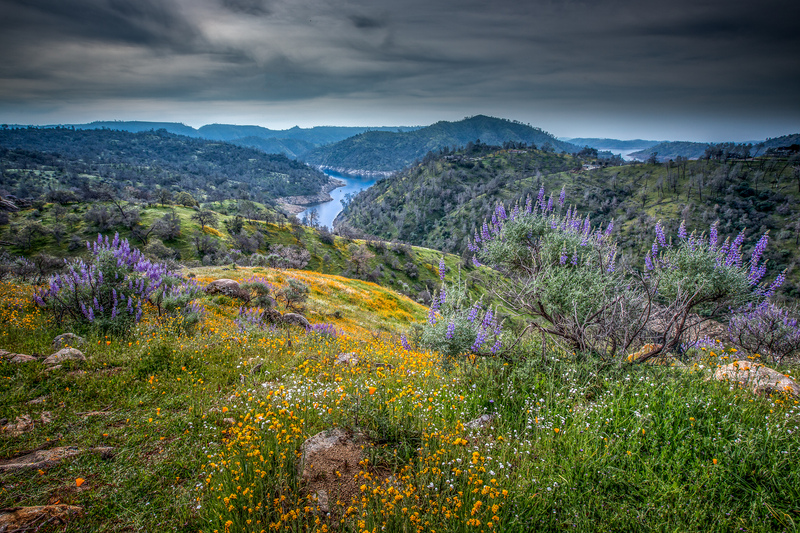 The Sierra Nevada Foothills are alive with color this early spring – After several years of drought and a wet January the wildflowers are taking advantage now of the early warm conditions to come alive. 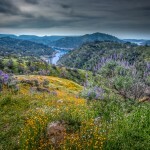 Near Fresno California the San Joaquin River winds its way up into the Sierra Nevada mountains. 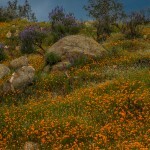 Along the way the steep canyons offer excellent conditions for wildflower blooms. 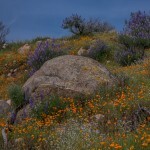 Occasional an area explodes into a SUPERBLOOM. 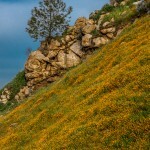 I had the good fortune to explore one such bloom this past weekend (Feb 2016). 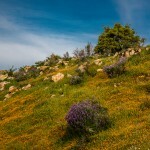 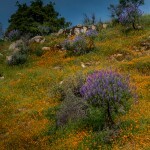 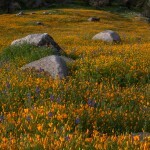 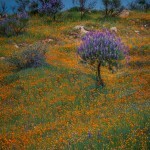 California Poppies, Lupines, Wild Mustard, and Fiddleneck among many others .